KUALA LUMPUR (Aug 17): Shares in Berjaya Auto Bhd (BAuto) fell as much as 20 sen or 8.66% as the counter trailed the slump in the broader market today, which saw the benchmark FBM KLCI plunge to a three-year low on the continued rout of the ringgit and oil prices. At 4.03pm, shares of the automobile distributor regained some losses to trade at RM2.13, but it is still down 18 sen or 7.79% and at the weakest level seen since Sept 11 last year. The decline in share price has made BAuto one of the top losers across the bourse. The stock had earlier climbed four sen or 1.73% to its intra-day high of RM2.35. It recorded a trading volume of 2.7 million at the time of writing. Alliance Investment Bank remisier Raymond Foo told theedgemarkets.com that the drop in share price is largely due to the overall market sentiments. "Aside from BAuto, other counters are also on the decline," he said, adding that such a trading pattern has been registered since last week. "Investors have lost their confidence in the Malaysian market amid the current economic situation," he added. It is worth pointing out that automotive sales for the first half of 2015 (1H15) slid 3.5% to 286,533 units from 296,790 units a year ago. According to the Malaysian Automotive Association (MAA), the total industry volume (TIV) for 1H15 stood at 322,184 units, down 3.3% from 333,156 units a year earlier. This has prompted MAA to revise its whole year TIV target to 670,000 units from 680,000 units. 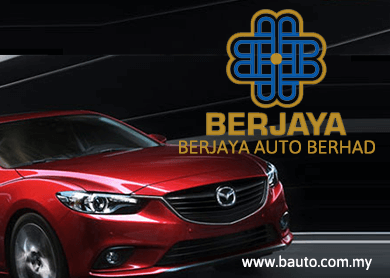 Financially, BAuto’s net profit rose 14.9% in the fourth quarter ended April 30, 2015 (4QFY15) to RM55.26 million or 6.8 sen a share from RM48.1 million or 3.5 sen a share in the previous year, on higher revenue. Revenue for the quarter was at RM424.34 million, up 7.4% from RM394.98 million in 4QFY14.